We had a smashing meal there. I must admit I was particularly pleased with the “Wine of the Month”, so pleased in fact that I didn't even notice that they charged me €25.00 instead of the €24.00 on the menu. It is a Lugana (from an area close to Lake Garda - see http://www.italianmade.com/wines/DOC10186.cfm ) and is produced by Zenato. One of the best whites I’ve tasted in a long time. Started off with a lovely plate of tapas between us. Great variety for €10.90. Then on to the main course. I had one of the day’s specials, Turbot on spinach with a Beurre Blanc sauce. Very good. The Advisor went for the Moroccan Tagine, shank of lamb with couscous. Again top class and quite reasonable at €18.80. Dessert (€7.00) was also quite good and a little different: a Tunisian Orange Cake, served with a berry compote and crème fraîche. The orange taste was not dominant but it had a lovely light citrus flavour. Light and tasty. Got a comment recently from Mel who included Jacques in a short list of his favourite restaurants. It is on mine as well. Was in there last night and had a gorgeous meal. I chose Brill on a bed of greens with a hollandaise sauce. Absolutely worth the wait, a magnificent combination. There was no doubt that the Brill was the star of the dish, the sauce there to offer appropriate support. A few days earlier, I had been in Amicus and made the mistake of ordering the Trio of Fish without properly studying the menu. It was smothered in the rich creamy sauce. The haddock wasn't too bad but the other two (salmon and sole) were anonymous. The advisor had Sole with a Butter sauce and her fish and veg were all swimming in the sauce. Desserts are top class also in Jacques. Last night, I had the most divine Bread and Butter Pudding, with winter fruits (raisins and apricots mainly) sumptuous, scrumptious, while the Advisor had her favourite raspberries with vanilla pod ice-cream. Wine was an award winning Sauvignon (Luc, I think) from the Beziers area of the Midi. It is the current house wine and costs €22.90. Enjoyed it. Enjoyed the evening. One of my favourite Chinese restaurants is Ying’s Palace in the Mayfield Shopping Centre. In a very comfortable nicely decorated room, it provides top class meals at a very reasonable price. The only pity is that the restaurant side is poorly supported, though the takeaway is doing very well indeed. Last night, we took the Set Dinner for Two, cost €20.80 a head. There is also a Set Dinner which is slightly cheaper and another (which I can certainly recommend) that is slightly more expensive. There is also a special that comes in at under €16.00. But back to the €20.80 menu. You start off with a generous plate of prawn crackers. The first course is a Meat Sung, a beautiful combination of minced pork (or chicken) with cashew nuts served with vermicelli noodles and you can make your own delicious little parcels with the crispest lettuce. Gorgeous. I need superlatives too for the Chicken and Mushroom soup. Didn't quite know what to expect here but I needn’t have worried. In a clear liquid (chicken stock), swam extremely thin slices of mushroom and little pieces of chicken, along with tiny pieces of spring onion. No additives here, no artificial colouring. Top notch. The main plates kept up the standard: King Prawn Satay in a bowl, Duck Cantonese style on a big platter. The King Prawn was faultless and the Duck was the most exquisite dish of its kind that I have tasted in a long long time. They are pretty weak on deserts here (usually jelly and ice cream) and we were happy enough that none was included in this special but we did finish off with a decent cup of coffee and a couple of mint chocolates. With the meal itself, we had a half bottle of a Chilean Sauvignon Blanc that cost €8.90. There is a good selection of wines, all at reasonable prices. Well worth a visit and I’m really amazed that so few try it out. The total for the meal for two came to €50.50. Enjoyed a few days in this brilliant September weather in Bantry, staying at the well located well run Maritime Hotel on the harbour side. There is a cluster of eating places at the start of the square just a couple of hundred yards up from the hotel. Don’t miss the Brick Oven Pizzeria and Bistro. Yes, it has a genuine brick oven and you won’t find that in every Italian pizzeria. Being in Bantry, we went for the Bantry Bay Mussels served in a Provencal style sauce, a beautiful “sauce” that required a big spoon. Salad and Fries accompanied the €17.95 main course version of this dish – you can also get it as a starter. Wine was a Blue Ridge Blanc from South Africa; this refreshing tarty blend of Chenin Blanc and Sauvignon Blanc cost €20.00. The meal, including a couple of decent desserts, came to €68.00, more or less what we paid the previous night at The Snug next door. In the Snug you will get what we Irish call a “good feed”, not always the same as good food. We had heard quite a bit about the Snug and, frankly, were very disappointed. Again, we went for a fish main course. If you can't get a goof fish dish in Bantry, it is bad news. Battered Cod, served with a salad and fries, was the other order. I got a plate full, plus the chips in a bowl. The salad didn't impress. The potato salad had been plonked on the plate along with half a carton of coleslaw and a few leaves. The batter used was the old type heavy duty flour batter that smothered the fish, which was a pity as the cod itself, the forgotten about main ingredient, tasted fresh and good. They use the lighter beer or lager type batter in the Brick Oven. The style of presentation was also evident in my starter, a crab meat salad (€10.00). Again a few lettuce leaves, undressed, were laid in the bowl. Then what looked like half a jam jar of meat was plonked down on it and it was finished off with a spoon or two of mayonnaise. Again it was a pity as the crab tasted very fresh and nice, aside from a few bits of shell that had not been picked off. The wine list is limited, consisting of four quarter bottles (two red, two white) and four full size bottles. The meal consisted of two starters and two mains. It was a poor opening night but the Brick Oven made up for it. We took advantage of the fine weather to visit two of the three nearby peninsulas. First trip was to the end of Sheep’s Head. There is a lovely little café there, everything homemade and we had two generous bowls of a well made soup (along with two brown scones), all for ten euro. On the Mizen, we visited the cafe in the visitor centre where we got good quality and good value. Two chicken wraps, served with a nicely dressed salad (The Snug could take a lesson here) and a little bowl of relish, along with a big pot of excellent tea, came to about €13.00. By the way, breakfast in the Maritime is top class; there is a big choice and good quality as you’d expect in a four star hotel. Their main restaurant is at the top end price wise but the bar serves good food at reasonable prices (less than what you’d pay in the nearly square) up to nine o’clock. Back in the last decade of the last century, the Boothouse Bar in Whitescross (just a few miles from Cork City) won a string of awards for its food and drink. The smallish thatched establishment is still going strong, still serving food. The only trouble is that the menu rarely ever changes and since variety is the spice of life, I don't go there that often. Maybe it is a case of if it is not broken, don't fix it. But if that was the case, we’d still be going around on horseback. In food, you just have to have variety, have to take a chance. I was in the area yesterday and called in and, yes, the blackboard had the old familiar look to it. There are soups, two or three meat dishes, a fish dish, various sorts of open and toasted sandwiches and a few desserts. I had a decent vegetable soup (€4.00) and took my usual choice there which is stuffed roasted chicken with vegetables and potatoes. All very reliable but nothing out of the ordinary. The cost for two came to €32.00 and that figure rang a bell. A few months back, I was in Rome and had an evening meal in a small restaurant just off the famous Piazza Navona. Cost for the two courses, including a €10.00 bottle of wine and a bottle of water, came to €32.00! Yes, €32.00 for the two of us, exactly the same as yesterday’s fare in the Boothouse. And I can guarantee you that the meal in Rome wasn't soup and chicken! Still, in fairness to the Boothouse, the €12.00 main dish at lunchtime (it was €11.00 last November) is more or less the standard in the local Cork restaurants. You will pay more or less that in the Rising Tide, the Elm tree, The Killumney Inn and in many of the places in town. Most people accept it but are we really getting value here. If you are around town and on shopping expedition, you could do worse than call into the old Riches Stores cafe (now by Debenhams) in merchants Quay. You have quite a choice here but two veteran lady shoppers advised me that there is an excellent salad bar where you can have a fine plateful of meat (chicken or turkey usually) and leaves, pastas, potato and other salads (pick what want) for about €6.00. A glass of iced water costs nothing extra. * Another bargain at the moment is the early bird in the Imperial Hotel on the South Mall. One of my pals was there last Sunday evening (I'm not sure is the offer is there every evening) and had a starter, main course and tea or coffee for €20.00 and she was delighthed with the meal and the value. Just a little note to say that Aisling, Mary and Amy from the 'Recipe for Success' production team will be at the West Cork Food festival in Skib this Sunday. We are there to promote the show and canvas for applicants so please feel free to drop by, ask questions or pick up an application form! BETTER VALUE – UNDER YOUR NOSE!!! Do we foodies look down on Dunnes Stores? Could be guilty myself. Mistake! Take last weekend. Called in and picked up a tub of crayfish tails for less than €1.99. Add some leaves and mayo and you get much better than your average prawn cocktail, more to get your teeth into and certainly tastier. Main course? Picked up a half leg of lamb, cost €6.49. Top class traceable meat and very enjoyable, made even more enjoyable by a red from Bordeaux (Chateaux Fonfroide) which Dunnes were selling at half price (€6.99), in a promotion that is still going on. I didn’t realise it at the time but the dessert I picked up, a Chocolate and Raspberry combination (€2.96), was from Heinz Weightwatchers. It was quite good, a crumbly chocolate base topped by the pureed berries in a jelly. Good quality all round and good value, made even better value by the fact that there was ten per cent off everything at the checkout. The latest visit to Gambieni’s Restaurant in Carey’s Lane started well. We each had the Spicy Meat Balls, Tasty & Juicy Meat Balls in a Hot & Spicy Sauce. They lived up to the billing and we had no worries ahead of the main course. The advisor ordered Pollo Alla Romano, a dish we’ve had on several occasions here before. It is Grilled breast of chicken topped with red onion, roasted peppers, mushrooms in tomato & red wine sauce. She tucked in but soon discovered a very salty taste indeed. I had chosen the Pollo Alferado, Grilled chicken breast with mushroom, red onion, scallions, garlic in a creamy white wine sauce. Very salty also. So salty in fact that I thought they had mixed in salty rashers among the strips of chicken. I even checked it out in the dim light but no, the salt taste was coming from the chicken itself. We advised the staff and they were astonished, didn't know where the salt had come from. They checked behind the scenes but no answer. We were offered free desserts but instead settled for a cup of coffee each on a rare disappointing night at this city centre venue. Marks & Spencer had a “Dine in for Two” offer, the weekend before last. I suspect it’s finished now but keep an eye out in case of a repeat as it was good quality and good value. For €12.50, you got a main course, a side dish (veg or potato), dessert and bottle of wine. When my four parts were totted up on the register, they came to about €23.00, so the saving was substantial. The main course in our case was an excellent Mousaka. The tasty Dessert was a Summer Berry Terrine (easily enough for four) while the wine was a totally adequate good quality Dolphin Bay Shiraz from South Africa. I’ll repeat it, if they do. Well worth it! Jacobs on the Mall is in the Cork “financial district” (a street, really). The area is well served with ATMs. Just as well, as the prices charged at this South Mall establishment are high. But if you have no problem with that, you’ll have no problem with the food. It is, in my experience, always well cooked, well presented and served with a chat and a smile. We called last Friday evening and the place was quite busy with about 80 customers in. While waiting, we were served some very nice breads indeed. The main course was Baked Cod, with some anchovies and mashed olives alongside, served with a warm potato salad (a lovely cylindrical pile of potato and roasted peppers and little bits of ham). The smell on arrival at the table promised much and I wasn't let down. It was lovely dish even though the price was a hefty €28.00. Desserts are usually good here. This time, I picked the apple brandy and hazelnut tart, served with a scoop of caramel ice-cream. Good, but not as good as my favourite here which is the date and butterscotch pudding. Cost €7.50. From the extensive wine list, we choose the Paul Beaudet Macon-Lugny (€30.00). Not bad at all, though I must say I preferred the Macon-Lugny (“Les Genievres” Louis Latour) that I got in the Imperial across the road a few weeks back. While the big aerial space has been broken up with greenery and the walls are hung with paintings, there is still a kind of hollow feeling to the restaurant. The lower level has two unbroken rows, one with tables for couples, the other with seating for four or more. A few screens here and a plant or a statue there might break it up and improve it and certainly lessen the class-roomy feel of the place. One other thing, why not get rid of those awful “Formica” tables. I get classier tables in my local. Had a very enjoyable main course of Sea Bass on a very recent visit to the Imperial Hotel (Pembroke Grill). The fish was the main ingredient and was allowed to shine, not suffocated by the accompaniment as happened in Ballincollig (see previous post). It was served on a bed (appropriately small) of colcannon, a little Mediterranean style vegetable mix, small potatoes and a shared dish of sautéed potato rings. It was cooked to perfection and a lovely meal for €19.50. The wine too was superb. It was a Macon Lugny “Les Genievres” Louis Latour. Apparently, Lugny is one of the best areas in Burgundy and is certainly well represented by this particular product. Finished off with a perfectly done Crème brûlée. The friendly and efficient service at the comfortable venue was with a foreign smile but a smile is always welcome, no matter where it comes from. · Earlier in the day, we had called to the Griffin Garden Centre (pictured) between Dripsey and Coachford. We were there at lunchtime so couldn't resist the temptation to call to the Spinning Wheel Restaurant in the centre. Quite a selection on offer here. Cod (at €9.90) was one of the main courses of the day but we went for the Lamb at €11.90. Again, the meat was superb and so too was the vegetable accompaniment. If you are in the area, remember you don't have to have greenfingers to enjoy the fine fare at the Spinning Wheel! First impressions on a recent visit to Treacy's Bar/Restaurant in Ballincollig were good: busy and lively and it definitely has a buzz. It is well laid out and spacious, though you would want to watch out that you don't end up sitting on a stool at your table (they will get you a chair, but if you are sitting down for a reserved meal you would expect to have a chair there in the first place). They do a decent range of dishes with a matching range of prices. As regards prices, the only quibble I would have is with their main courses, particularly the fish courses which cost in the mid twenties and could be a lot less – tell you why later. The starter I chose was a Tapas selection. Cost was about €9.90 and was well worth it. The platter contained fish pieces, chicken pieces, bread with tomato and mozzarella, along with little bowls of piquant olives, sundried tomatoes etc. Quite tasty and enough for two on the one platter. The main course I chose was the fish of the day, Red Snapper, which weighed in about the €22.00 mark. The fish was good quality but it was overwhelmed by what came with it. It was served on a massive mound of rice which looked like Ayers Rock on the plate. The side dishes were a bowl of roasted Mediterranean vegetables (slight smell of burn here) and a version of potato grattan which didn't add anything other than bulk to what was already an overcrowded plate. It was just too much in quantity, too little in quality, and a suggestion for Treacy’s would be to take a look at what Market Lane in Oliver Plunkett Street can achieve with such a fish dish. Less can often be more! Quite a lot, certainly of the rice, went back. Now, I reckon, if less was served in the first place, that would bring down the costs and lead to a keener price for your main dish. The Advisor took Chicken Snitzel at a very reasonable €14.40. Again there was nothing wrong with the meat (in fact, it was of a very good standard) which was served on a bed of fried mashed potato. The tasty enough sauce came in its own bowl but then came the overkill: a plate full of salad and a dish of undercooked chips. Another case of where quantity rather than quality won out. Finished off with two mugs of coffee, good quality and reasonably priced at €1.90 each. The wine was also excellent. It was a Ca’vive Pinot Grigio Delle Venezie, cost €19.90, four euro less than the same bottle cost in Treyvaud’s of Killarney a few weeks back. 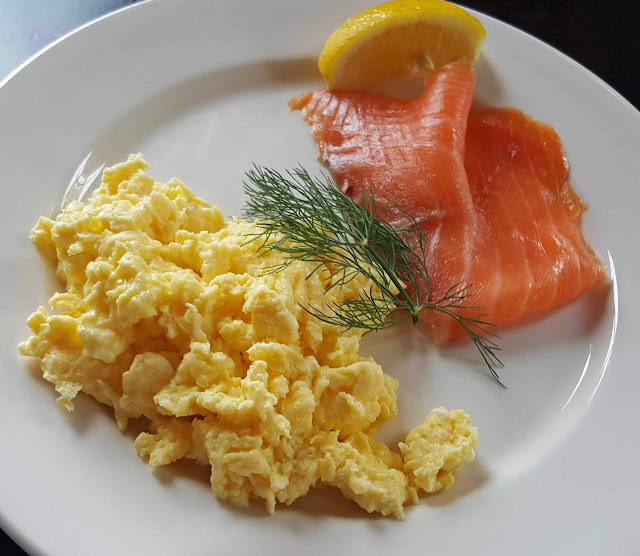 For your evening meal try Treyvaud's on the High Street, Killarney (064 33062), a popular if slightly expensive restaurant run by two Swiss brothers. The efficient service and attention to detail starts the moment you walk in the door. The service is not at all intrusive, just sufficient. Obviously the attention to detail includes the food selection and preparation. Most of our party had fish – I had the Hake special at €24.95, which I thought was a little over priced. The fish was perfect and had been cooked to perfection and the same applied to the seasonal vegetables that accompanied it. Everything was perfect. No complaints. But for that price, one might have had expected some little innovation or variation, that the chef, with such perfect ingredients, would challenge himself. By comparison with the sea bass dish in the Market Lane (see separate post), the hake, while not at all a letdown, far from it, suffered. Desserts, all reasonably priced at €6.50, were very good value and I enjoyed my Passionfruit Cheesecake. Other desserts that came to our table included Bread and Butter puddings and Panna Cotta. A bottle of well balanced Pinot Grigio cost €23.95, at the lower end of the wine list, though the house wine, red and white, cost less than €20.00, if I remember rightly. If you are in Killarney at lunchtime, Mac’s, near the Tourist Office is good bet, with a huge menu and service with a smile. If you find yourself on the Ring of Kerry at lunchtime, particularly in Caherciveen, try the Times Square cafe in the Eurospar complex at the southern end of the town. There they do a great soup in the house; it is gluten free and served in a generous bowl, though they term it a cup, and they also sell it in combination with Paninis (6.95) and toasted sandwiches (5.95). They also have tempting pastries and free-trade coffee. Again service is with a smile and there is a relaxed atmosphere in the cafe. First impression was that this place was so small but as they say the best is to be found in small parcels and certainly the first visit to Castelli's Italian Restaurant in Prince’s Street was well worthwhile. The room is cosy, comfortable and seats about 30. Service is friendly and efficient. From the nine or starts on offer, we both choose the Mussels (With tomato, onion & basil). The soup-like accompaniment certainly lifts the mussels to another tasty level. Top marks for this one. My main course was a medium size pizza: Primavera (Aubergine, olives, tomato, pesto, peppers & red onions). It was done to a T, well endowed with the vegetables and a pleasure to polish off. The Advisor plumped for their version of Pollo alla Cacciatora (Chicken, onions, tomatoes chilli in tomato sauce, with fries or potatoes). The difference is made by the chilli and, while this dish too went down well, the extra spice may not be to everyone’s taste, so watch out for that. A 50 cl carafe of house wine (Soave), medium dry with quite a robust flavour cost just €11.00. The full bill came to a few cent under €55.00. Great value and it seems their early bird is even better value. So now you know! Offering an excellent selection of Italian and Mediterranean dishes, Castelli's is the perfect place to enjoy casual lunches and sophisticated evening meals. The "early-bird" specials are particularly popular: a three-course lunch. The restaurant has daily specials as well as offering a regular selection of pasta, salad, and pizza dishes. Its small, warm surroundings allow for good and fast service. Perfect espressos and cappuccinos are available to round off a good inexpensive meal.